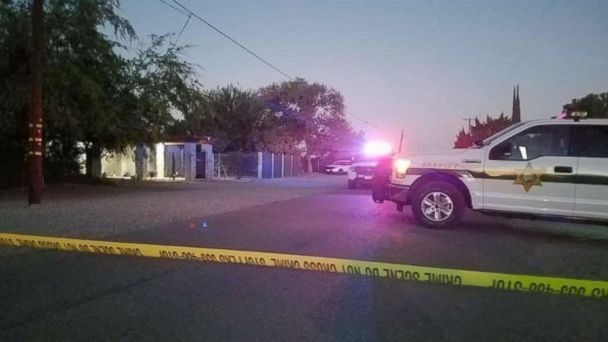 Police found Javier Vera, 54, dead inside the family's home in Fresno, California, on Saturday after his 16-year-old son called to report a domestic violence-related injuring, according to the Fresno County Sheriff's Office. The unidentified boy told officers that Vera had been drinking when he allegedly began to strangle his wife during an argument, investigators said. That's when the couple's son allegedly fired the weapon, investigators said. "Deputies learned that the husband and wife had been involved in a verbal argument, which escalated into physical fight," the Fresno County Sheriff's Office said in a statement Sunday. "At one point, the man began to choke the woman. A short time later, the couple's 16 year old son fired a gun, striking his father." "Detectives interviewed the 16 year old boy Saturday night and determined his action of shooting his father was done to defend his mother's life," the statement said. "Detectives never placed him under arrest." "[He was] visibly shaken up. Scary situation, your mom and dad are in this fight, next thing you know you end up taking your dad's life," Botti told local media outlet Your Central Valley. "There are people out in our community who are experiencing things... where husbands are beating up wives, or maybe even wives are being abusive to husbands. It's time to speak up."